This book, available directly through the AuthorHouse website link below in hardcover and softcover volumes is a comprehensive review of the long history of the Order of Saint Lazarus Order from its early birth in the Holy Land during the Crusades. The book is also available for purchase from amazon.com and other leading US and internet bookstores. This publication has been hailed as ‘the most honest and carefully researched’ work on the Knights of Saint Lazarus to date and has a foreword by top international bestseller Tim Wallace Murphy. The tumultuous events surrounding the First Crusade and the ensuing centuries of struggle for the conquest of the Holy Land has reverberated throughout the centuries and affected our collective psyche to this date. 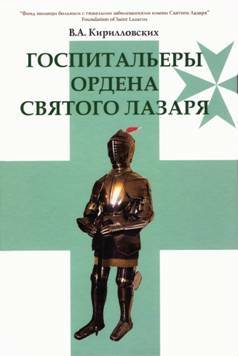 ‘The Sword and the Green Cross’ offers a minutely researched analysis of the creation of one of the monastic and military Orders of the period: the Knights of Saint Lazarus. Devoid of the chequered popularity of their contemporary Knights Templar or the Knights of Saint John, the Knights of Saint Lazarus, with their green cross and invariable care of lepers and other afflicted pilgrims, nobles, knights and peasantry, offer the reader a fascinating history of diplomacy, military exploits, survival instinct and a legacy which has permeated throughout time. The book explores the Order’s birth in the Outremer, its expansion and Papal sponsorship, its constant interaction with the Templars and the Hospitallers and its tremendous growth in Europe which later justified its lengthy operations on the Continent even though the Holy Land was lost to the Crusades. The book analyses its complete change from a Papal Order to a Monarchical Order under the benign overseeing of the French Kings and dwells at length on the immediate and long term ramifications of the French Revolution and the Order’s demise. The ‘Sword and the Green Cross’ colourfully projects the period in which the Order flourished and illustrates prominent Lazarites from throughout the centuries. It also minutely dissects the modern day revivals of Lazarite organisations worldwide and, by means of hitherto unpublished documentation, sifts through the interpolated myths of such a revival and its magnetic allure to thousands worldwide. With a forward by best-selling author Tim Wallace Murphy, ‘The Sword and the Green Cross’ is a must read for all history buffs and those into Muslim-Christian relations and chivalry. 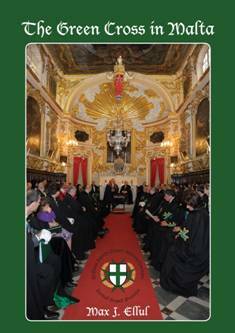 The new book, which was launched at the Sacred Investiture at the Mediterranean Conference Centre on the 21st of April 2010, highlighted the 10th anniversary of the physical presence of the Hospitaller Order of Saint Lazarus in Malta. During these 10 years, Euros 144,500 were donated for Hospitaller and philanthropic causes in Malta and Gozo. The book, which is published in paperback (182 pages), offers the reader a full and definitive history of the Order and its setup in Malta and is a must for any Lazarite who wishes to know more about the growth of a regional operation from a mere team of ten people to what the Grand Priory of Malta and the Grand Priory of Gozo have achieved to date. Edited and published in 2004, this 142 page hardcover volume is the publication which the Order of Saint Lazarus suggests as an introduction to each of its postulants. The direct and straightforward writing approach of the editor captures the history of the ages for the Order as well as a detailed account of the recent history of the United Grand Priories since its conception in 1995. The intent of the modern organization and its charitable work is also described in this interesting book. Learn more about the Order and its future by ordering this volume. The monograph gives known data in the form accessible to a reader who is interested in the hospitallers' affairs that have undergone ordeals for many centuries and are now being continued. In addition, it describes the activities of the Saint Lazarus Foundation for Patients with Severe Diseases that was established in Russia in 2012 and strives to receive support from those who share its compassionate service ideas for the welfare of the Fatherland in the traditions of the Hospitaller Order of Saint Lazarus of Jerusalem. 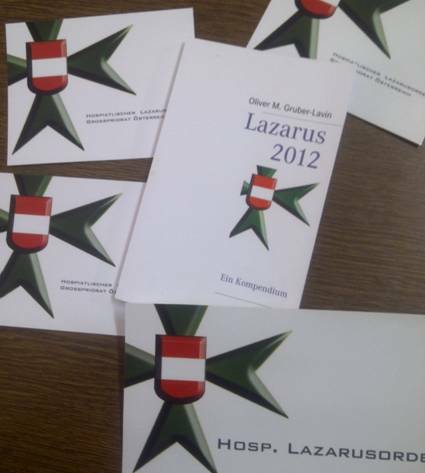 The Grand Prior of the Grand Priory of Austria has published a new book in the German Language which gives an up to date rendition of the Order of Saint Lazarus and the works of the United Grand Priories worldwide. It is indeed a must for all German speaking members of the Order since it forms part of the global strategy of the Order to have as many publications as possible related to the Order in various languages. Alternatively, it can be purchased on Amazon.com as an ebook. The Kindle edition has proved to be much sought after and we recommend all German speaking members to have a copy of this book for their perusal. Published as Hardback by Paravitta Publishing House, Russia. The office of the Grand Chancellor had earlier sanctioned Chevalier Ayrat Akhmadeev KCLJ of the Grand Priory of Russia to translate into the Russian language the works of Massimo Ellul entitled 'The Green Eight Pointed Cross' which was published in the English language in 2004. Subsequently, after also waiting for an addendum to the publication based on Massimo Ellul’s second book on the Order 'The Sword and the Green Cross' which was published in the US in 2011, Confrere Akhmadeev finished this translating feat and had it published in the Russian language by Russian publishers Paravitta with the Russian title of 'The Green Eight Pointed Cross'. Huge congratulations must be herein given to our Russian team for this initiative. 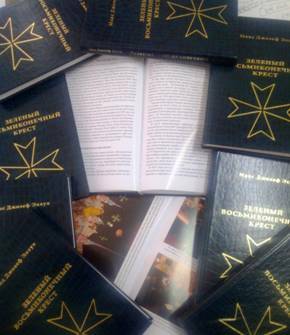 The book is available directly from the Russian Grand Priory or from the office of the Grand Chancellor at a price of Euros 25, including postage and shipping. 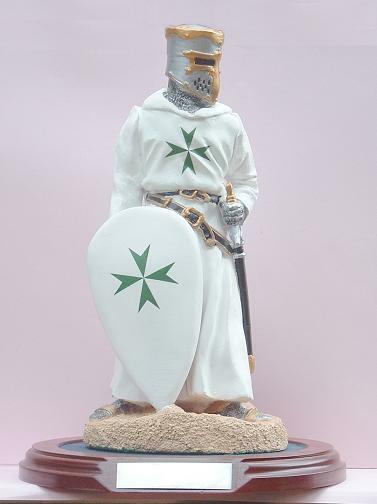 The Christian Triangle is a Christian Craft manufacturing operation directed from the UK but which provides for hard needed artisan work in the Holy Land by means of the production of these unique busts of Chivalric Knights pertaining to all the Orders of chivalry, including the Knights of Saint Lazarus. We recommend that our members and our friends visit their web page as found below and purchase one of these lovely works of art. Not only will they be owning a lovely piece of craftsmanship but also their monies will be directly responsible for the continuation of artisan skills and trades within the Christian Community of the present day Holy Land.